Picture is a representation of style. Please chose from available colors in the drop down box. 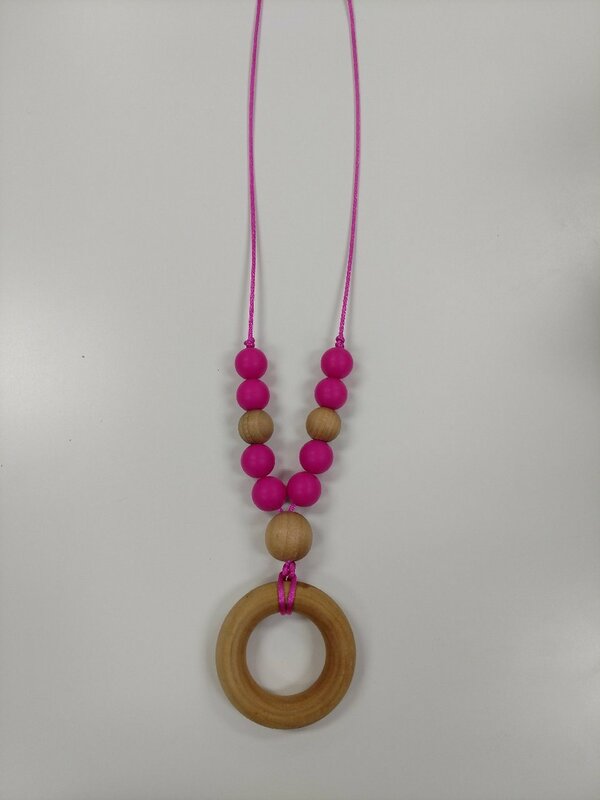 2 1/4" wood ring necklace ideal necklace for babies with emerging teeth and help baby focus while nursing. Wood beads and rings are treated with an organic sealant of beeswax and olive oil. Products can be cleaned with a mild soap and warm water. Wood will naturally fade in color over time with wash and wear. All necklace have a breakaway clasp. *These are NOT meant to be worn by a baby.